This is a four panel comic featuring a female skateboarder being jeered at by men because they think women cannot skateboard. The girl stands up for herself and skates on. 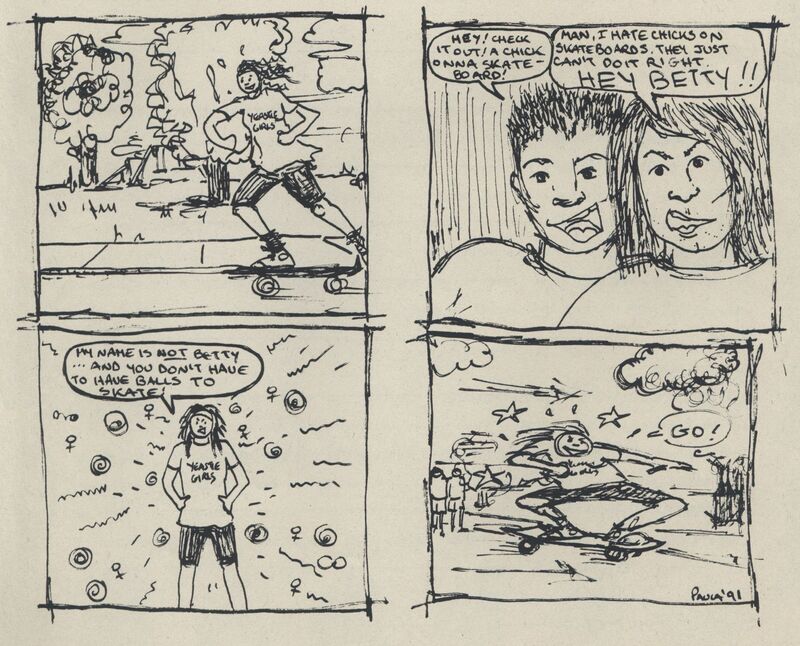 Paula Gonzalez, “Four panel comic of a female skateboarder's response to being ridiculed by men,” UVic Libraries Omeka Classic, accessed April 21, 2019, http://omeka.library.uvic.ca/items/show/1653.